“ This Is It” is an Independent family run company from Devon, we have been open and trading for 5 years in Poole. We have already supported the Bid Scheme for Taunton and recognise the added benefits this could have with helping our business grow and continue to succeed in a challenging , changing shopping environment. We need Poole to be a place people want to come and visit so we need to take this opportunity to say YES and support the BID Scheme for Poole. The Bid offers a chance for businesses in Poole Bid Area to have a say on “How we can improve our town with extra money generated from the Bid Scheme through a Business Plan.” We need to link the whole town centre together from the Quay to Falkland Square, we also need extra money to promote and improve what we can offer to our local visitors and tourists on top of what the Council provide. I attended the first launch meeting in the Dolphin Centre and I was inspired by the BID Manager for Bournemouth on what we could achieve with a BID and how it can improve our town and environment. This Is It is a specialist retail discount store. The carefully selected product ranges have been chosen to meet the needs and tastes of a diverse audience. 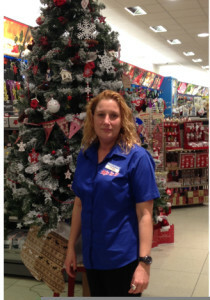 The staff in all the stores are friendly and ready to assist you in any queries you may have about the products. Each department at This Is It has a wide selection of items ideal as gifts and essential use. Our departments include electrical, toys and games, stationery, arts and crafts, home ware, outdoors, and seasonal displays. This Is It stores aim to provide the customer with quality products at low, affordable prices. Although we may call ourselves a discount store we are far from the average pound store. The selection of products we offer can range in price depending on your required taste and it’s affordability. We do our best to select quality goods to ensure customer satisfaction.